There are all kinds of people scouting new prospects with great potential in a variety of fields all the time. There are TV channels focused on food which have contests to find their next star. There are athletic teams looking for the next breakout player who will garner them victories and bring success to their program. Bosses are looking for great employees. People everywhere are searching for potential. And… people are waiting to be discovered… longing to have someone see the potential in them. 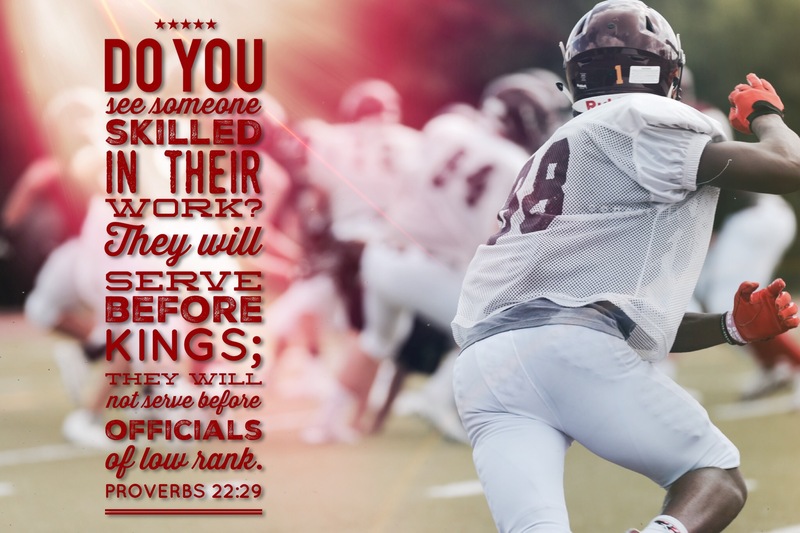 The Lord went on to challenge me that morning to be the one to discover our boys… to discover their talents, their skills, their personalities, their aptitudes, their abilities, their strengths. I am to discover them… to call those things out in them… to cultivate those things… to challenge them… to cheer them… to connect them with the right people who can catapult them to their destiny… to give them opportunities to shine. I’m not suppose to delegate that responsibility to someone else. And I’m certainly not supposed to allow any random person in this world who is scouting potential to beat me to the punch with my own boys. This concept works for me. Maybe it’s because I feel like I have something in my heart that sees potential in people. Sometimes, I look at someone and think, “Man, they seem like they would be really good at…”. And I like living that way. I like seeing what can be in people and believing the best for them. It’s a privilege to get to be in on the spotting of potential in a person. Sometimes, people don’t even see it in themselves, and you get the joy of being the one to point it out to them. Other times they sense it, but lack the confidence to pursue it, and you get the joy of pushing them over the edge to go after their dreams. That’s where the fun comes in… seeing the potential in someone else and then helping them get to the point of fulfilling their destiny. Scouts are rarely thought about or talked about. It’s the superstars they discover which shine brightly for everyone to see. But those stars would never be seen if someone had not pointed them out. Scouts don’t need credit. They don’t look for glory for themselves. And when they help someone achieve the greatness their potential holds for them, the scout goes searching again to see who else has potential out there. Hey, wait a minute… I think I see some potential in you, fine reader of this blog. Yes, there it is… You have the potential to see potential in others and encourage them to reach for it. How would you like a job as a scout? It doesn’t pay any money, but the reward of seeing someone achieve their designed purpose in life with excellence is quite amazing. You may never get any credit for discovering them, but you won’t care. It really is quite fun. So, you interested? Let’s see what you’ve got. Start with those closest to you and then begin working your way out to everyone else. Yep, I see it clearly now… You are going to be one fantastic scout! Prev Post: Who’s Making Your Supper?